Marketing emails are often regarded as a nuisance and spam in today’s world. But this is a result of some poorly realized marketing campaigns or simply those whose strategy was to spam people. Not all companies mean to intrude and disrupt – some value a more subtle and quality approach. These kind of emails can usually bring a smile on customer’s faces and drive conversions as well as engagement. But how to create those emails? When your users open your email, the last thing they want to see is a generic message that could have been addressed at anyone. Especially if that message comes from a @noreply address. This means that you don’t care enough about your users to include their name – especially in this day and age – or to hear their opinion. Instead of doing this, help them feel appreciated by using their name and allowing them to respond. Another thing to consider is your language. Jargon is something you will want to avoid. It excludes your users and presents a dry and boring – of not crude and stiff – image of your company. Avoid dictionary words and replace them with something simple. No one likes to read a lengthy email. It takes a lot of time to read and even longer to comprehend. Marketing emails should be short and concise whenever possible. “Include all the necessary information but try to keep it short. For example a few five-sentence paragraphs. Make it readable by formatting and leaving a lot of white space for your readers to rest before moving on,“ says Jon Hill, an email newsletter writer from Writemyx.com. Stay relevant to a single topic. Don’t spread yourself too thin and try to cover several points. Tell them about just one and keep it interesting. Actionable, sizzling language is your friend. Some mistake this for fluffy writing but it’s not the same. Fluffy language includes a lot of adverbs and unnecessary words. It also has plenty of passive sentences. These don’t work well for copywriting – or any other type of writing for that matter. If you want your customers to take action, use actionable language. This is especially important for your CTA. You want your users to do something – ask them. ‘Buy now’, ‘Visit our page’, ‘Follow us on social media’ and so on are right ways to entice action. Especially if you add a bit more mystery or urgency around them. “Your recipient doesn’t care about the features of your product. Those are just words on paper – or screen, in this case – for them. They don’t mean anything and they usually involve the kind of jargon that we want to exclude,“says Harry Martin, a digital marketer from OriginWritings.com and 1day2write.com. Rather than describing the features in extent, tell your users what’s in it for them. Describe how those features bring benefits to them. For instance, if you want to sell a vacuum cleaner, don’t tell them about its dimensions, weight, power and so on. Tell them how it’s small so it’s easy to store, light so they will have no trouble moving it around and how it packs a strong punch in that sma package which means that they will vacuum ten times faster and more effective. Headlines are important in the email marketing business. Write them in a way that will spark your user’s attention and interest. Ask questions: ‘Are you still dragging that old vacuum cleaner up the stairs?’ ‘How To Vacuum Faster and Without Breaking a Sweat’ and so on. Good email marketing requires excellent copywriting skills and some small tricks that help get the message across more successfully. 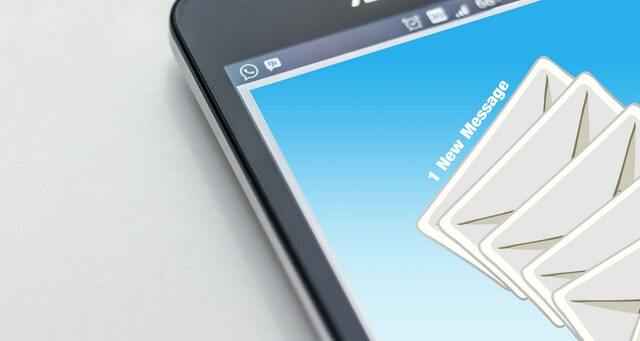 Follow these simple steps to create great marketing emails. Adelina Benson works as an email marketer and writer at Academic Brits. She develops marketing strategies and creates quality business emails for clients. Adelina likes to write marketing articles and use her expertise to help small businesses in her free time.